Does the meat Industry want to SLAUGHTER wild horses? Read what the Pro-Slaughter advocates say about wild horses below. They are publishing this in pork industry publications! Time for a brief quiz. Question 1): How many wild horses and burros are currently roaming across the Western rangelands? Question 2: How many wild horse and burros are adopted by private citizens each year? Question 3): Absent “control measures,” how long does it take for the population of wild horses and burros to double in numbers? Answers: 1). 67,000. 2). 2,500. 3). Four years. In other words, each year there are thousands more of these feral animals being added to what is already an overpopulation across the semi-arid rangelands of Nevada, California, Utah and several other Western states. In fact, the Bureau of Land Management announced last week that as of this March, there an estimated 67,000 wild horses and burros in the West public rangelands, which is a 15% increase over the estimated 2015 population. 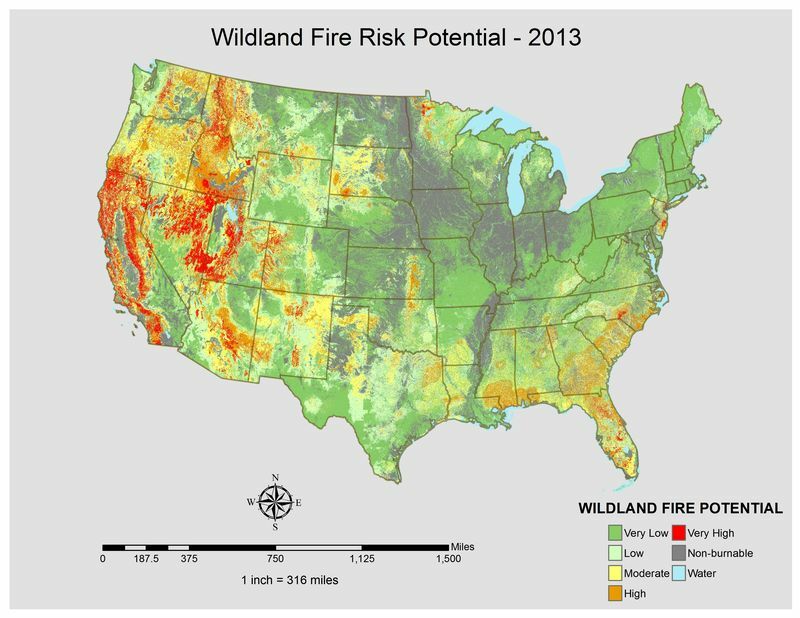 The updated data are more than twice the number of horses on the range than is recommended under BLM land-use plans. It is also two and a half times the number of horses and burros that were estimated to be in existence when the Wild and Free Roaming Horses and Burros Act was passed 45 years ago in 1971. The major shift to which Kornze referred is a dramatic decrease in adoptions of wild horses, due to economics and other factors — ie, the fact that the wild mustangs, in particular, don’t adapt well to life in a stable. Here’s the problem: The lifetime cost of caring for an unadopted horse removed from the range approaches $50,000 per animal. With 46,000 horses and burros already residing in off-range corrals and pastures, this means that without some way to place these animals with willing owners, BLM will spend more than a billion dollars to care for and feed them over the rest of their lives. And there are plenty more where the current ones came from. And the situation has only worsened since then. Keep in mind that the population of wild horses and burros affects not just agency budgets and wildlife populations, but impacts a significant economic and cultural resource: the grasslands of the West. When deer populations exceed their rural habitats east of the Mississippi, there is property damage and traffic accidents for suburban and rural residents to contend with, but there is far less impact on agriculture. Not so out West. There simply isn’t carrying capacity for ever-expanding herds of horse and burros, while at the same time maintaining the grazing rights of ranchers and conserving the limited supply of grassland and water resources. None of those measures — even in combination — will be enough, however, and so the agency announced in a statement that it would request two new pieces of legislation: One to permit the transfer of horses to other agencies that have a need for work animals; and another that would create a congressionally chartered foundation to help fund and support adoption efforts. Unfortunately, all the money in the world can’t turn adoption in to a sustainable solution. Wild mustangs and feral burros make lousy pets and equally undesirable work animals. It’s one thing to “domesticate” bison, another “wild” species dependent on rangelands. The time, trouble and expense of keeping them corralled represents an investment recouped by selling the meat and hides, whereas the only reason to keep horses around these days is to ride them, either for pleasure, for racing or for equestrian competition. Most wild horses are highly unsuited to all of the above. As is true with any invasive species, the spectrum of control measures starts out with the least intrusive, most humane interventions. But unless such a limited strategy actually works, efforts must be ramped up — all the way to forcible population control. I’ve yet to hear from any activist with a better solution. Or one with an extra billion they’d like to donate to the cause. OAKLAND, Ca. (April 27, 2013)–Protect Mustangs™, the Bay Area-based native wild horse conservation group, is holding protests today in Oakland and Rock Springs, Wyoming to save indigenous wild horses from roundups, abuse, slaughter and pass the SAFE Act. The Oakland rally is held outside the Rockridge BART station from 3:30 to 6 p.m. The Rock Springs rally is held at 70 Gateway Blvd at 2 p.m. The group wants all the wild horses in government funded holding to be returned to the range to help reduce wildfires. More than 40 international protests, spearheaded by Nevada’s Patty Bumgarner on Facebook, are being held to save the horses. 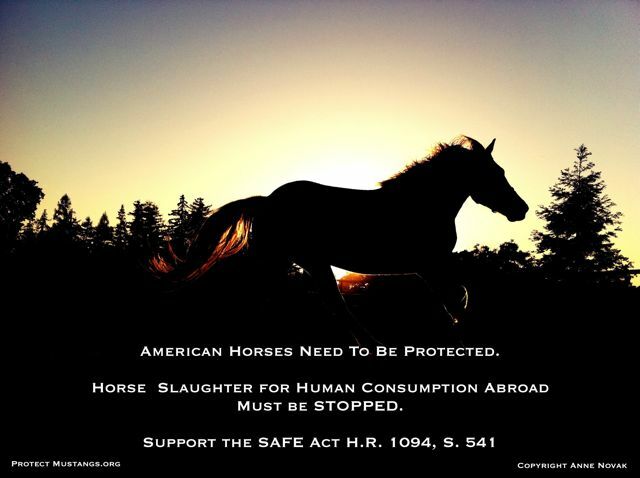 Protect Mustangs™ requests Congress stop the cruelty, the slaughter and save taxpayer dollars–especially during the Sequester. The horse, E. caballus, originated in America over a million years ago and returned with the Conquistadors if it ever went extinct in the first place. With history written by the Inquisition, one must read between the lines. It was heresy for Old World animals, such as the horse, to have originated in the heathen Americas. The Bureau of Land Management (BLM) received $78 million last year to run the Wild Horse and Burro Program. Two-thirds of the expenses went towards caring for the equids in captivity. Despite the federal budget crisis, the program received a $2 million increase in funding for their 2014 fiscal budget–including $6 million for the helicopter contractor. California’s Senator Feinstein chairs Energy and Water subcommittee as well as rules on Interior issues within the Committee on Appropriations. The Committee gives taxpayer dollars to fiscally irresponsible and cruel wild horse and burro roundups despite public outcry. Roundups and removals are linked to mining and toxic fracking in the West. It appears native horses are being removed to fast track the extractive industry’s use of public land for private profit yet the public and the environment are hit with the costs. Native wild horses will soon be zeroed out from Wyoming’s “checkerboard” public-private land–allegedly in preparation for the largest natural gas field in the country. The conservation group has requested a $50 million fund be created to mitigate environmental distress from fracking on the range. Advocates are documenting wild horses being removed throughout the West as healthy and with fewer foals. The starving and overpopulation myths from BLM spin doctors are fabricated to sway Congress to fund roundups and removals. Protect Mustangs™ is devoted to protecting native wild horses. Their mission is to educate the public about the indigenous wild horse, protect and research American wild horses on the range and help those who have lost their freedom.